Yeshua says: This sky shall be made to pass away, and the one above it shall be made to pass away. And the dead are not alive, and the living shall not die. In the days when you consumed the dead, you transformed it to life—when you come into the light, what will you do? On the day when you were united, you became divided—yet when you have become divided, what will you do? Christ’s passage at Thomas 11 contains levels of meaning for both heaven and kingdom seekers. Due to the depth of this teaching, the article is structured in two distinct subjects. Let’s start with the obvious question: “Doesn’t the light just come?” The light always comes. You are made of light. Indeed, nothing exists but the light. If your heart beat just now, the light is coming into you. And yet, like any of the Lord’s teachings, ascension involves work on your part. When you come into the light through your own initiative, you will sense the physical presence of God in and around your body. 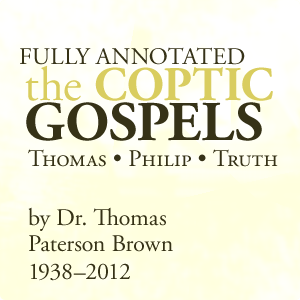 All of Christ’s teachings in Gospel of Thomas concern the path to the kingdom. The general meaning of Thomas 11 is essential to every seeker: prepare now for your transition to the higher world. Yeshua’s revelation of the light, however, is a priceless gift. In the same way that our bodies transform dead matter into life (consciousness), Thomas 11 reveals that human beings also possess the ability to transform life into light (God’s consciousness). Scripture sheds very little light on the meaning of Thomas 11. After three years of struggle, my patience bore fruit. Of course, your journey is different from mine. In the end, your own beliefs will bring you into the light. Always hold fast to your inner truths. #1 This sky shall be made to pass away, and the one above it shall be made to pass away. Thomas 11 is not an end-times thriller. It’s the seeker’s journey. When you set a course for the kingdom, many hidden realms are revealed to you. As your journey progresses, you’ll experience ever higher levels of being, such as Paradise, which Apostle Paul compares to a bodily (physical) state of being. #2 And the dead are not alive, and the living shall not die. Similar to Christ’s canonical teachings, 'Enter through the narrow gate. For wide is the gate and broad is the road that leads to destruction, and many enter through it. But small is the gate and narrow the road that leads to life, and only a few find it.' (Matthew 7:13-14)two roads are present in the meaning of Thomas 11: heaven, via the broad road, and the kingdom of God by way of the narrow road. Since this commentary pertains mainly to kingdom seekers, it is aimed at those who seek the narrow road. As your journey intensifies, you may encounter images of unfamiliar beings. Some of them are your past “relatives,” remnants of your soul’s previous mortal When you perceive your images, which have come into being from your Origin—which neither die nor represent—to what extent will they depend upon you? (Thomas 84)companions. These beings failed to bind with Holy Spirit during life, and thus did not attain the inheritance. Though their images can be disturbing, your soul or inner teacher may ask you to process them. This is a daunting aspect of the work. Always honor all images, whether living or spiritual, with love, respect, and kindness. #3 In the days when you consumed the dead, you transformed it to life—when you come into the light, what will you do? Notice how the Matthew’s broad and narrow roads continue to sharpen the meaning of Thomas 11, and vice versa. Those who live solely on worldly wisdom (the “dead”), may come into the light by consuming life: Christ’s word. On the broad road, though we 'I am the resurrection and the life. The one who believes in me will live, even though they die...' (John 11:25)will taste death, some part of our being is said to live on. The Ritual of the Eucharist stems from this teaching. In truth, all things are Christ (God’s wisdom)—not just the consecrated bread. When we recognize that we consume God’s wisdom at all times, we make the shift to the narrow road. Those who live in Christ word have joined the material self to the Holy Spirit. In this case, you '...and whoever lives by believing in me will never die. Do you believe this?' (John 11:26)will not taste death. During this process, your soul may ask you to invite into your body (consume) those stray images described at #2. Your call to start consolidating—to help your spirit (and you) become whole—is a very encouraging sign. * Truth: the 'I am the living bread that came down from heaven. Whoever eats this bread will live forever. This bread is my flesh, which I will give for the life of the world.' (John 6:51)living bread. Like Adam and Eve before they separated, you were born into the divine marriage of one flesh. Body and soul were one being. You did not judge, or hate. Everything fascinated you. This is the image of the little 'These little children who are being suckled are like those who will enter the Sovereignty' (Thomas 22) (Matthew 18:3)child, whom Christ taught is like those who will enter the kingdom of God. As you got older, man’s deathly wisdom coaxed you to judge others, to divide the Through him all things were made; without him nothing was made that has been made. (John 1:3)body of Christ into “good” and “evil” things. Worry and fear set in. The cure, you were taught, was material love and riches. Because man’s toxic truths had failed you, you separated from spiritual soul. #5 …yet when you have become divided, what will you do? Become united. Repair the damage to your break with spirit by accepting that everything and everyone is an aspect of God. Because we can’t see the future, humans cannot determine true good from true evil. So try to love and appreciate everyone. When you leave all judgment to God, you will come into the light, and fully merge with your soul. As you reattain the state of one flesh, the little child returns. This condition is necessary to enter the kingdom of God. This concludes Part I, The Meaning of Thomas 11. During the time just before the Ascension Christ presents an image of the divine race God created at Genesis 1:27—those who will return to '...they shall inherit the earth' (Matthew 5:5)E'den. The Risen Lord’s physical body displays amazing qualities. Yeshua can enter sealed rooms, appear and disappear at will, and travel long distances much faster than those on foot. Despite all of that, his earthly body seems much like ours. Yeshua eats, drinks, walks, talks, and cooks fish for the disciples. Finally, he After he said this, he was taken up before their very eyes, and a cloud hid him from their sight. (Acts 1:9)ascends to the heavens. Consume the life and come into the light. At Thomas 11, Yeshua reveals the It is necessary to arise in this flesh, as everything exists within it. (Philip 25)light body. In contrast with Jewish wisdom, many of Christ’s lessons contain Yeshua says: Come unto me, for my yoga is natural and my lordship is gentle—and you shall find repose for yourselves. (Thomas 90, Matthew 11:28-30)yogic practices. After I noted the light-making meaning of Thomas 11, I viewed it as a yogic exercise. Because so much of Scripture concerns ingesting not just food but Christ himself, I applied that concept to breath control and simple meditation. During my early practice, the best results came while lying on my back, arms at my side, palms upturned. As it grew more natural, I found I could manifest the light anywhere. Now, even when I feel a sudden pain or cramp, I breathe light into it and the pain subsides. With God’s help, of course. When all is quiet, and you are alone and relaxed, inhale deeply. At the same time, imagine that you are drawing the life of your entire body—head, chest, fingers, legs, and toes—into the solar plexus. As you do so, think consume the life. Hold a moment. As you exhale, think transform to light. The solar plexus handles everything, so keep your attention fixed on that organ. After you’ve exhaled, hold the moment for as long as you are able to do so. Do not inhale just yet. Instead, imagine the light as it explodes outward from the solar plexus into all parts of your body. The light may feel like a rotating circle, or gentle waves of left-to-right and/or head-to-toe motion. Although I believe the mantra (consume the life/transform to light) is critical, it can seem rather cumbersome. But I’ve shortened it to thinking from life (during the inhale) to light while exhaling. The light is quite intelligent. It knows where it’s needed. Even so, I can direct it to specific body parts. For example, I “inhale” life energy from a painful or worrisome area. When I exhale, the light races out of my solar plexus and heads straight for that area. Since the head, eyes and chest are primary spiritual centers, I always make sure these get a good deal of light. Aches, injury, chronic pain or skin conditions also respond well to this practice. Light can heal in many ways. Light generated within the solar plexus can also can transform your outer world. Combine the principles of Thomas 22, “make the inside as the outside,” to direct the light outward. Distance healing also works. In the latter case—after asking for permission from Upstairs—I become my subject. When that person is in me and I’m in him or her, I employ the same practice described above. By itself, the light will reveal the area of the subject’s injury or emotional issue. So In this case, I don’t direct the light; but I do keep it focused there. During the process, I ask the Holy Spirit to send my light to the subject. a) Remind yourself that any power you have comes from God. b) Light is a living being. It can hear you and react but do not treat it as a servant. Talk or think to it. Welcome the light when it comes, love it in your heart and body and thank God for sending it. c) Make the life to light for an hour or more each day. Once it gets going, it’s quite astonishing. Luminous clouds of light may form in the air around you. These clouds may also enter your body. Do not fear. Rejoice! The son of man has fulfilled Christ’s prophesy. Creating a spiritual light body, as Christ did, is a lifelong task. For devout seekers, working with the light each day will reduce worry and fear and energize you. One catch. You’ll need a partner. It’s hard to manifest anything without a conscious, loving bond with your immortal soul. Those who are separated shall be mated and the empty shall be filled. Everyone who enters the Bedroom shall be born in the light… If one does not receive it in these places, he will not be able to obtain it in the other place. Enjoy your journey into the light. It’s quite real. For an excellent gnostic/yogic view of the meaning of Thomas 11, please visit William Hodgetts’ website.